I’m passionate about living a life with less waste and less stuff, but more than that – I’m on a mission to help others do so too. I’ve listed some of the ways we can work together below. If you’ve got another suggestion, please get in touch – I would love to discuss your project. Drop me a line to hello@treadingmyownpath.com. Everyone wants to live in a clean, toxin-free environment. We don’t want to harm others, create litter or pollute the ocean. We care about our health. We want to do the right thing. Yet the conversation has been hovering around recycling for so long that we’ve forgotten to think about what comes before – refusing, reducing and reusing. All that extra packaging and extra stuff creates clutter, makes us stressed, and takes up our time. Hauling my full rubbish bin and overflowing recycling bin to the kerbside on a Sunday night is my absolute favourite way to end the weekend, said no-one, ever. The good news is, there are so many ways to live better with less waste. It doesn’t have to be difficult, and it doesn’t mean going without. I’m here to help. There’s nothing I love more than reaching out to others, in the community or in the workplace, to encourage, motivate and share ideas to inspire positive change. The five pillars that underlie my work are: connect, learn, share, inspire and grow. When I speak, I focus on the positives. I don’t share boring recycling statistics. I’m not interested in talking about what the government or policy makers (or anyone else) ‘should’ do. I’m not here to lecture. I focus on the positive changes that my audience can make, starting today. No-one can do everything. We all have differing levels of free time, differing energy levels and other challenges in our lives. But everyone can do something. I’m here to help you find what you can do to have a positive impact. I believe that everything we do, no matter how small it might seem, is worth celebrating. My list of speaker topics and pricing is available on request. The groups I’ve spoken to have ranged from as intimate as 10 to as large as 1,700. In October 2016 I was invited to the Tedx Perth stage to talk about living with less waste. You can watch my talk here. I believe there’s no better way to learn than to actually “do”. Many of my talks can be extended to include a hands-on DIY component, such as making simple skincare products. This gives you the chance to experience the making process and products first-hand, ask questions and feel more confident about developing your own skills at home. DIY workshops are a risk-free approach for you to learn with others and gain a new skill, as well as a fun activity to participate in. As well as combining talks with a DIY component, I also run more advanced DIY skincare workshops where you will have the opportunity to explore the ingredients, discover simple and easy-to-replicate recipes, and make a number of products to take home. I run longer courses on sustainability based on adult learning and behaviour change principles, with a focus on giving participants new skills alongside increased awareness, the confidence to make changes in their own lives and in their community, and the passion to go out into the world and make a difference. I facilitate Living Smart courses in the Perth area on behalf of Be Living Smart. I love the written word. I have a friendly, entertaining and engaging tone, and a skill for explaining difficult concepts in a simple and easily digestible way. I will happily consider commissions for magazines on plastic-free, zero waste and other ethical living topics. I also write content and edit copy for websites, and create resources for businesses or organisations. Please get in touch with details of your project. It is very important to me that your website, business or brand has clear ethical values and a business approach that supports sustainability. If you are unsure whether this applies to you, I suspect we will not be a good fit. My website Treading My Own Path is updated weekly with articles including tips, how-to’s, insights and other useful information. The focus is on living with less waste and less stuff, although I also write about other aspects of ethical and sustainable living. I have published two eGuides. 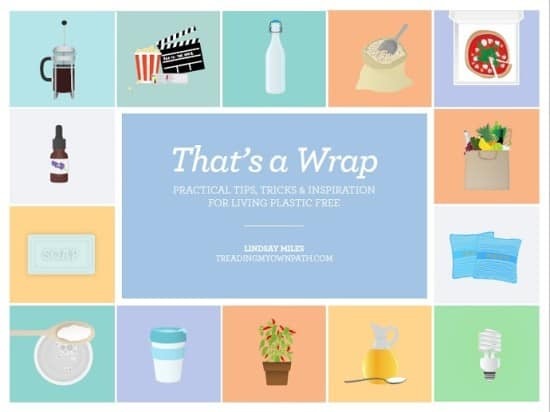 My first, That’s a Wrap: Tips, Tricks and Inspiration for Living Plastic-Free, is a guide for reducing plastic. My second, Hoarder Minimalist: Decluttering the Zero Waste Way is a guide for decluttering without creating unnecessary waste, and provides tools for ensuring your unwanted items are passed on responsibly. Articles I have written have been published on online sites including One Green Planet, One Million Women, Elephant Journal and Ethical Superstore. I have several years of retail and hospitality management experience, and would love to help you reduce the waste and environmental impact of your store, restaurant or café. Having worked first-hand in the industry, I understand the constraints of time, space and the need to provide outstanding customer service. I can help you adopt more sustainable practices that your customers love without impacting your bottom line. I have experience in organising both small and large-scale events. 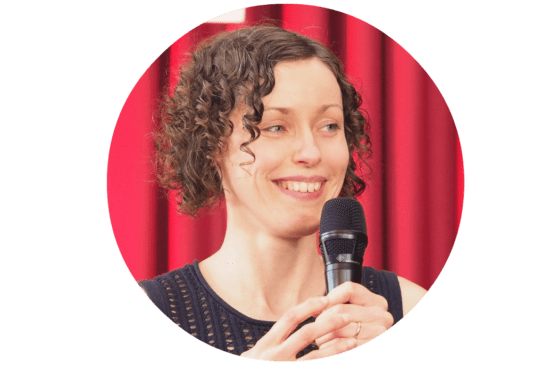 I am available as a consultant to assist in the planning and to provide advice for reducing your waste and environmental footprint for small- to medium-sized events. If there’s something I haven’t mentioned here, be sure to get in touch. I’d love to hear more about your project!